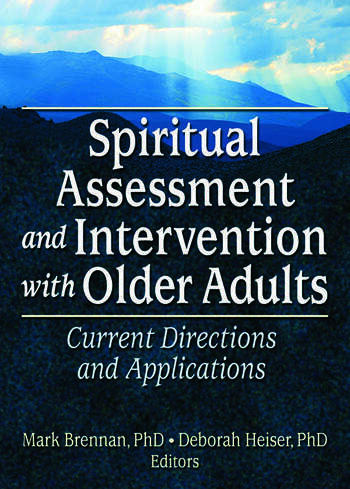 Spiritual Assessment and Intervention: Current Directions and Applications provides you with an overview of current and future methods and means of providing spiritual support to the elderly as they struggle with the problems and possibilities of aging in today’s complex world. Growing interest in the positive effects that religiousness and spirituality can have on life stress has created a growing need for research and practice models that strengthen, reinforce, or promote the spiritual well-being of older adults. This collectionfirst presented in 2003 at the 56th Annual Scientific Meeting of the Gerontological Society of Americaaddresses the important care giving and practice issues involving the physical and psychological health of older adults.